First, DMo was the "X-Factor" / "Super Role Player" / "Difference-Maker." That, of course, was never the case. Then, it was for guys like LowkeyMT(Thornton), which was legitimate at the time, and also Super Cool Beas, who also played extremely well for us. But, alas, those "X-Factors" are no longer significant in the league, or for us. Let's hope Clint isn't on the same trajectory. I'm proud of him this season, after two years of cringing when he came into the game. #StoneHands No more. Just want to point out to the people who are bitching about Capella being our x factor, Andrew bogut was a complete garbage when he was with the warriors but he was of the main reasons (or the x factor) that they won that championship, being the x factor doesn't mean the only guy that could win you games but the guy who gives you the extra edge of being efficient and complement your team identity. bilaal14, HakeemOnlyFan and hakeem94 like this. 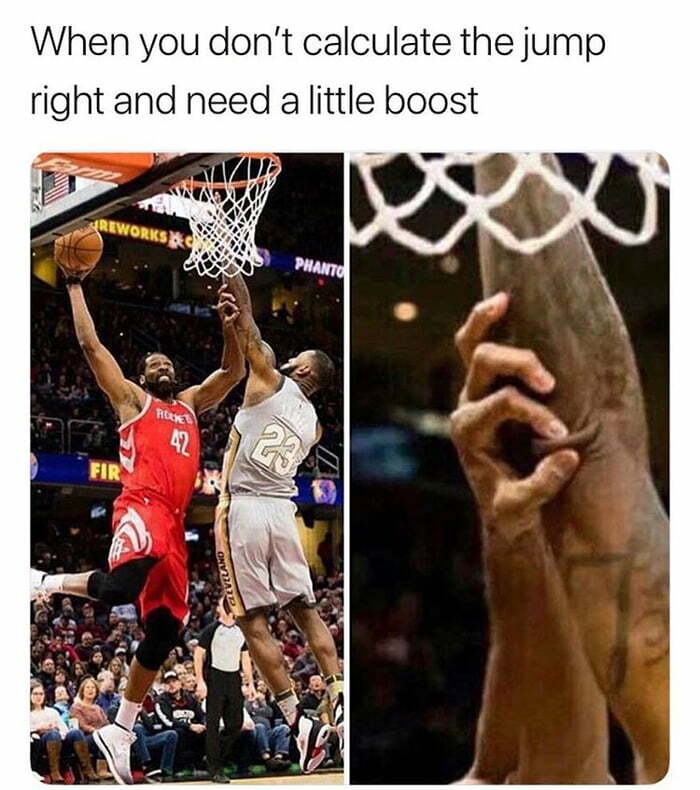 I know it's not used in NBA but you know what I mean. He is not this year but he is great for this team and much needed for this team to be considered contender. Need a healthy team going into playoff or no chance. WARRIORS can have one main player out and they still can beat you. Clint Capela is indeed one of the most important players of the Rockets. One commentator in the Wizards game observed that the Rockets are able to make a lot of threes because the pick and rolls that Harden and Capela are able to execute draws the defense, leaving space for the shooters. Without that big man /pick and roll option, the Rockets' offense is not as potent. Without that pick and roll move, the offense becomes more predictable, making the defense more committed to the shooters. Without Capela, someone else on the roster should be able to execute the same pick and roll either with Harden or Paul. Now that Capela is out, or still recuperating from his injury, the Rockets ought to give Tarik Black more minutes so he can practice the same pick and roll that Harden executes with Capela. Give Black more minutes so he can get used to the passes of Harden and Chris Paul. The few highlight that I've seen from Black gives me hope that he could do even more. He just needs the minutes. Between him and Nene, they should be able to cover for Clint when the injury bug bites. hongxingli, bilaal14, HakeemOnlyFan and 1 other person like this. Capela exposed Green. He's too big and too skill. He will be the answer when they are playing Green at the center. bilaal14, Plowman, hakeem94 and 1 other person like this. I’m not going to go that far yet but he does have the size and length and mobility to be one of the few centers in the league who can negate green when he is the center in there small ball lineups. The Clint we saw tonight is the one we need every single night. When he plays like this we’re almost unstoppable. Clint has all the tools in the world to be the perfect center on defense for this pace and space nba. Plowman, bilaal14, Rocket River and 3 others like this. That's mostly true if the one main player Houston has out is Clint Capela. I wonder if there are any three players for the Warriors that are undefeated when they play together? They have more like 4 prospective all-stars while we only have 2. But our 3rd player seems to be the difference maker. I doubt any other team is undefeated with their best three players in the lineup (17-0 w/Harden, Paul, Capela, including 2 wins over GSW). I agree. Health will be everything. If Rockets are healthy, particularly our big 3, I would favor them over a healthy GSW. At the least I see a 7 game series. But if Houston's healthy maybe it's not even that long. I'm a homer, yeah. bilaal14, Jayzers_100, Mazulis and 2 others like this. Not to mention he is extremely quick at the pick and roll defense and can guard curry or Durant with ease. D-rock and today like this. One of the key role players. The other key role player right now is the Prince. Of course Gordon, Ariza, Green, PJ are all important too, and to a lesser extent Anderson and Nene too. The addition of JJ and Wright will add depth. I'm intrigued by Brown too. vlaurelio, ipa, AceOfSpades and 4 others like this. LMAO at this gif!!! Thanks for sharing. Thought I couldn't love Nene more but I was so wrong. ApacheWarrior, Koperboy and sirjesse like this. Hakeemtheking, Koperboy, ipa and 2 others like this. Deckard and mikol13 like this. daywalker02, Plowman and Koperboy like this. Clint became the CC factor, Constant Capela factor. Come out and feast on those inconsistent Wolves. The real factor X is the bench when Gordon has an off game..... Green and the guys should pick it up. It's amazing for a young player like Clint to show up instantly in a playoff game. He wasn't nervous at all. Nice. Yeah, it's probably too early to go into this with everything else going on. But at season's end, it would be interesting to see a breakdown of how the Rockets could keep Capela. Mainly, if it's even possible and what it would take. Clint Capela Slapped CP3 on the back of the head!! !